Genetic Training Facilities provides top end fitness studios designed to adapt to the ever-evolving desires and goals of our amazing members. In our fitness boot camps and group gym classes, you won’t have to choose between cardio and strength training. Instead, we combine a variety of aerobic exercises with cutting edge body weight workouts and free weights. We hope you’ll come experience our “train smarter” philosophy and tell us what you think. Born into a family of health fanatics, with five full Ironman finishers and professional athletes Alan was raised with a zeal for fitness. As a lifelong athlete, he has pursued personal and professional accomplishments with the motto, “Learn it, live it, love it,” as a guiding principal. 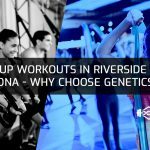 In 2016, Alan decided to take that motto to a new level and founded Genetics Training Facilities with the mission of creating powerful, unique workouts for every person. 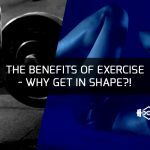 His vision is to cultivate a community where each participant can experience a complete workout that provides the benefits of strength training with cardio and the metrics to measure effectiveness throughout. To that end, Alan is continuously growing the brand and streamlining the process for members. He’s overseen the opening of the first gym, launched our first app, partnered with Heart Zones to bring a leading proprietary heart rate monitoring software to our floor and obtained industry leading equipment that allows our members to get the best workout. Prior to founding Genetics Training Facilities Alan worked his way from sales to a senior leadership position at an internationally branded health club. Like many kids, Casey grew up playing sports. Unlike many kids, he dove into the training aspect of fitness with a passionate determination. But, it was his mother’s struggles with severe rheumatoid arthritis and other health issues that lead him to look beyond how to train a body to perform at maximum capacity. Instead, he turned his focus to how exercise could help people ease and overcome physical barriers to health. Evangelical in his approach to fitness, Casey is constantly battling fitnesses’ dreaded p-word: plateaus. At Genetics, Casey leads a team of likeminded trainers, crafting workouts that can easily vary in intensity to challenge people at any age or fitness level. For over a decade, Casey has trained and motivated thousands — from professional athletes to those in frail health — and he brings that wealth of knowledge and respect for the individual to each workout he designs. Casey holds certifications in HIIT Training, ACSM Exercise Physiology, Heart Zones threshold certification, and a Bachelor of Science in Kinesiology, with an exercise science concentration, from California State University, San Bernardino. Patrick is a third generation health and fitness professional with over a decade of experience in the industry. His passion for fitness started at a very young age when he took on baseball, golf and surfing — all before finishing elementary school. By high school he was competing in triathlons. At Genetics, Patrick leads customer relations and operational strategies. He creates unique member rewards programs, member appreciation parties, fitness challenges, community outreach, raffles and much more. A core goal for Genetics is to provide services that won’t pigeonhole one type of exercise goal at the expense of whole body fitness. To that end, Patrick’s team provides nutritional counseling and advice, free one on one sessions to get familiar with equipment/class format and assessments from a certified trainer to verify individual heart rate thresholds and zones. Before co-founding Genetics, Patrick managed internationally branded health clubs. He opened new clubs from the ground up, as well as turned underperforming clubs into district leading locations. When he’s not at the gym, Patrick still enjoys surfing and golfing.